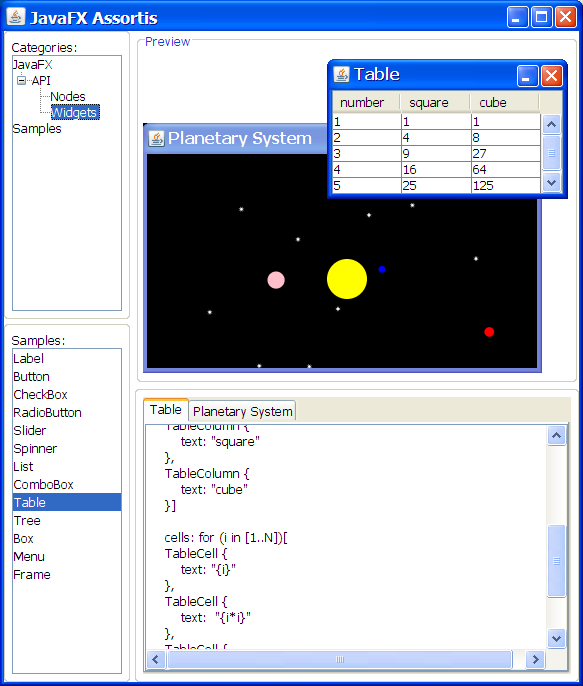 From the panes on the left side you can choose to work with Nodes (graphical objects like Circle), Widgets (UI objects like CheckBox), or come cool samples (like the animated Planetary System shown above). You can then work with your selected objects in the right panes, altering the code to see the effects. This will cause this demo to be built (if necessary) and executed. It's a great way to get up to speed quickly on using some of the UI features of JavaFX Script.